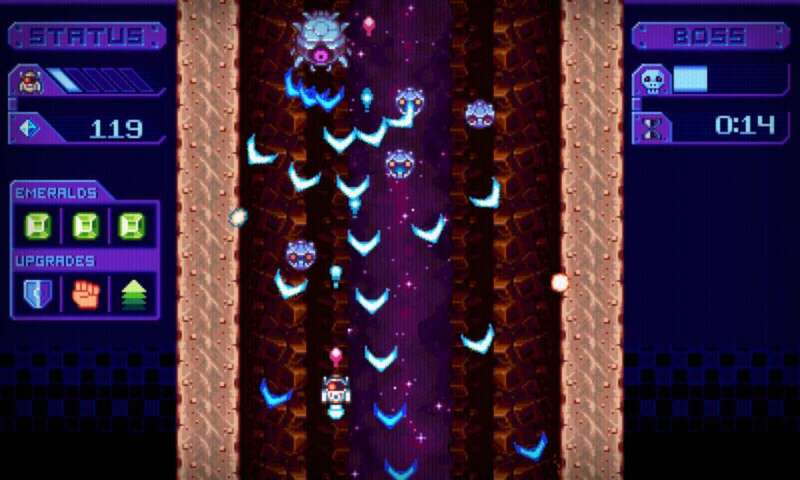 Classic arcade space shoot'em up meets color match puzzle! 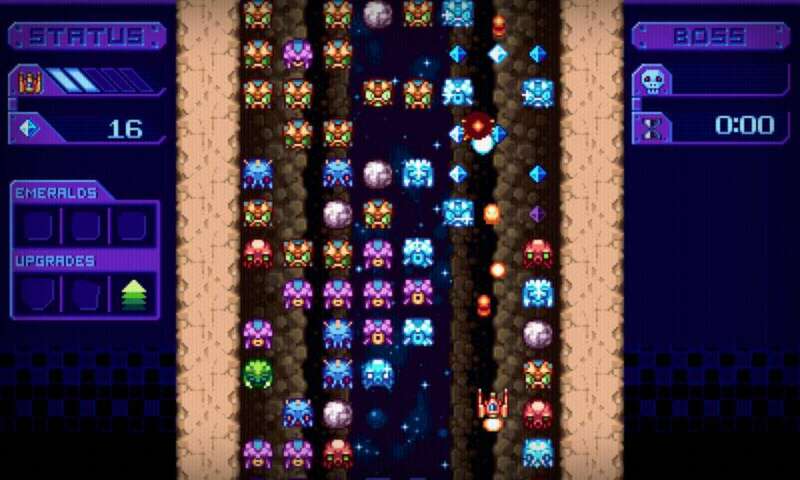 Hop into your awesome spaceship, open a path through huge waves of aliens and other hazards, and face intense boss battles! To put it simply, this is classic arcade gaming! 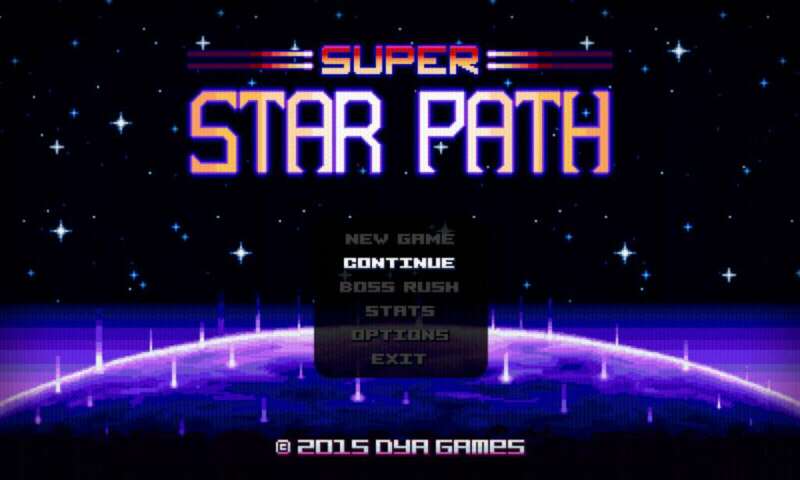 Easy to pick up, fast-paced boss fights, polished pixel art visuals and a catching FM synth soundtrack! It is the year 2985, ages after the space revolution. Human colonies have reached the most remote places and discovered the enormous power of Green Emeralds as an energy source. But just today, aliens have decided to take back what was stolen from them by those greedy humans. Now, the future of the colony is in the depths of steep ravines, the haunt of dangerous creatures, and its only hope lies in the hands of the Earth's most experienced fighter pilot. 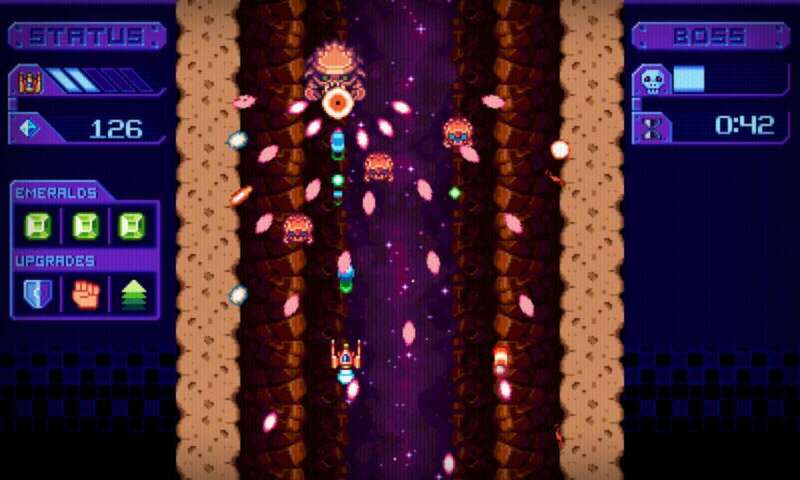 Fast paced shoot'em up boss battles. 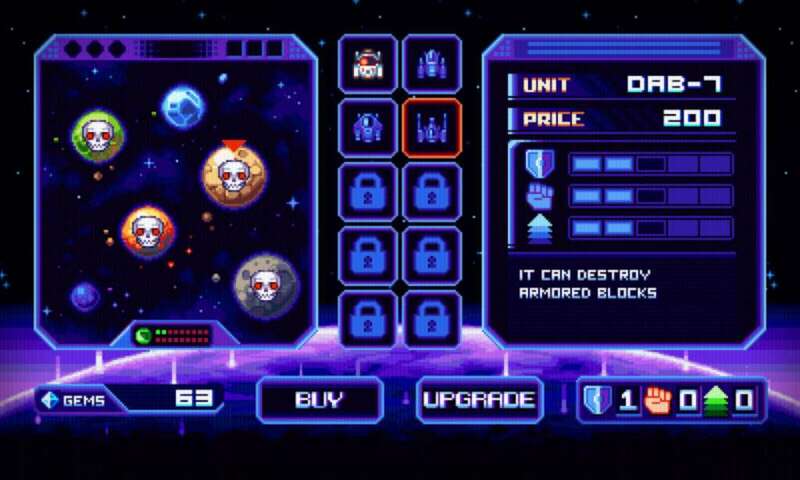 Collect gems and buy unique spaceships. Collect upgrade points to boost your ships' stats. 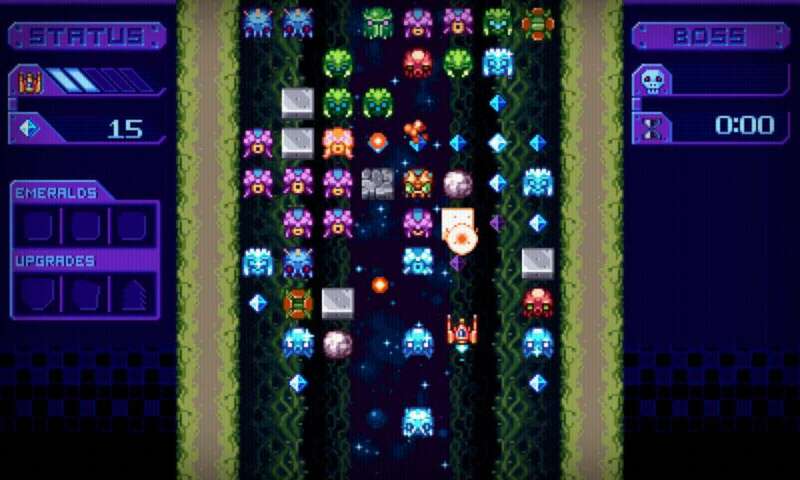 Replayability: can you get all Green Emeralds? 16-bit style pixel art graphics. Gamepad support (Xbox 360, PS3 and compatibles). Additional Notes: Compatible with Xbox 360, PS3 or Direct Input controller. Latest DirectX version recommended.